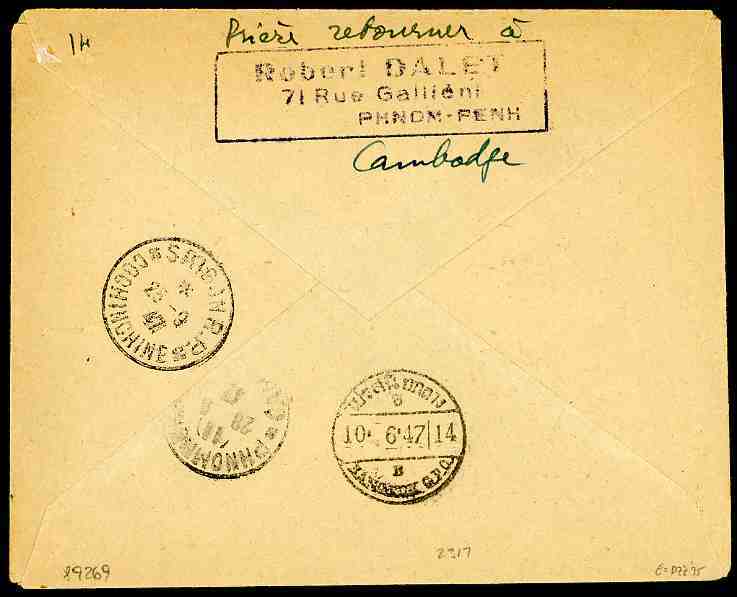 INDO-CHINA, FIRST FLIGHT "phnom-Penh to Bangkok" per Air France (flown on the 10.6.1947), franked 10c and 50c "Du Tchad au Rhin" cancelled "PHNOMPENH CAMBODGE 9 JUIN 47" on cover to Bangkok, Thailand, unclaimed and send back to sender. 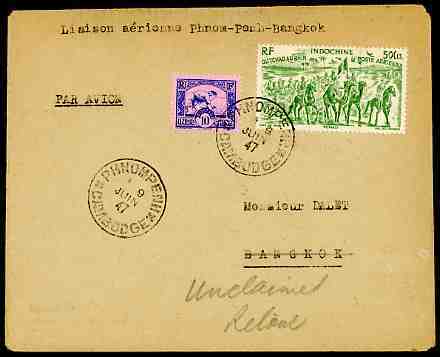 On reverse "Bangkok 10.6.47" c.d.s. Very fine and rare first flight. Indochine, premier vol pour la Thailande / Siam, R et TB.